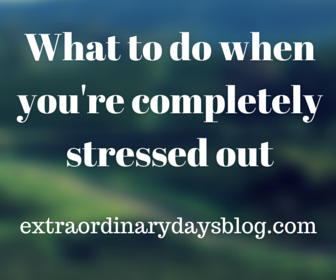 What to do when you’re completely stressed out! STRESS. It comes and goes but some times are worse than others. When I mentioned that April had been a really crazy month for me in this post, I was describing it lightly. There were some intense problems at work and I took on some extra freelance writing as well and it was way too much! Why I thought I could fit in hours of extra work on top of my full-time job, commuting for almost three hours each day and keeping this blog going, I have no idea. I was exhausted, more stressed than I’ve ever been, irritable, unable to enjoy anything and I couldn’t make any headway in my work. Luckily, things have calmed down a lot more now. At the very least it was a great learning experience and I am now more familiar with what my limits are. But how do you know when you’re at that point? Make a list of what’s bothering you and possible solutions. This may help you figure out what problems you can tackle first and which ones will require more work to solve. Sleep more. You’re never your best self when you’re tired so getting some shut eye might help you keep calm. Eat healthy meals and eat enough. Look, I’m not the healthiest person but I know I get agitated when I’m hungry so making sure you eat is important. Making it something healthy is going to help because you need good fuel to run that body of yours. Up your vitamin intake. 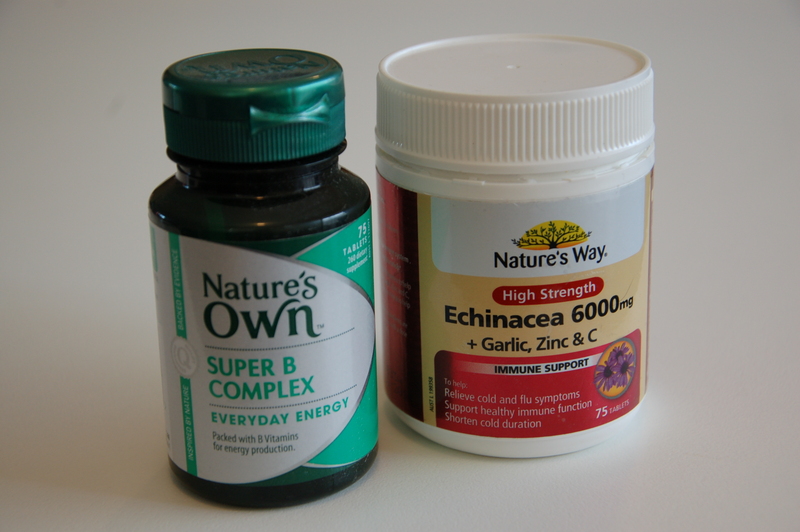 To help counteract all the stress you’re is dealing with, vitamin B can be a great stress-reliever and echinacea, garlic, zinc and vitamin C will increase your immune system’s ability to cope with any bugs. Vitamin B and echinacea, garlic, zinc and vitamin C.
Talk it over with someone you trust. Sharing what you’re going through with someone you can rely on can help you get your head around what’s bothering you and they may be able to help you brainstorm ideas for ways to help. At the very least, it will get it off your chest. A problem shared is a problem halved, right? Get moving. I absolutely cannot recommend this more. When I’m feeling wound up and anxious, getting rid of that excess adrenaline makes a huge difference. It can be as simple as a brisk walk around the block. I’ve also started walking regularly and I feel so much better for it. Try a herbal remedy. Okay, part of me doesn’t want to believe that herbs and flowers can help calm you down, but it’s worked for me. Valerian root can help you sleep (but may cause nightmares in some people, just as a heads up) and I found it in a tea that really helped calm me down. 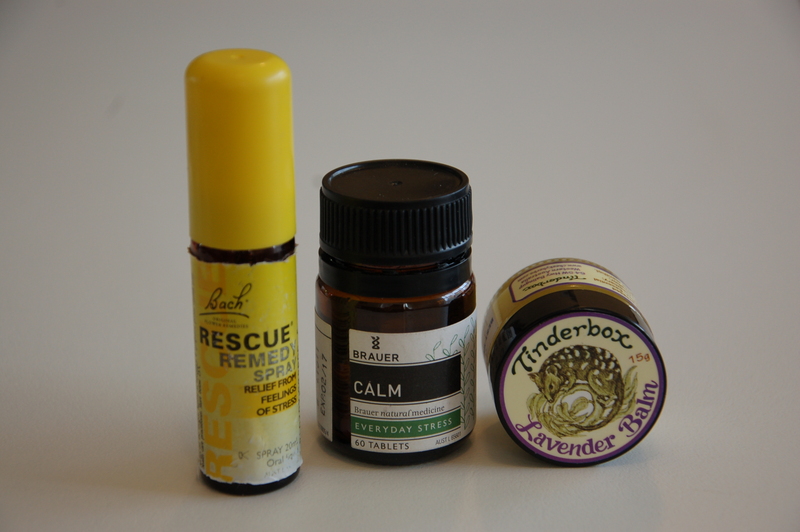 Rescue Remedy has been a staple in my purse for years and lately I’ve also been using Brauer Calm tablets (a homeopathic remedy for stress) and Tinderbox lavender balm (which is a calming, soothing scent and Tinderbox is a Western Australian-made brand, too!). Whether the placebo effect has made a difference in my case remains to be seen, but I figured that if it could help, I was going to give it as try. Rescue Remedy spray, Brauer Calm tablets and Tinderbox Lavender Balm. Try yoga, meditation and breathing exercises. Focussing on your breath can assist in calming the mind and stretching can get rid of any tension you’ve built up in your muscle. I wrote another post about how yoga apps are totally awesome! 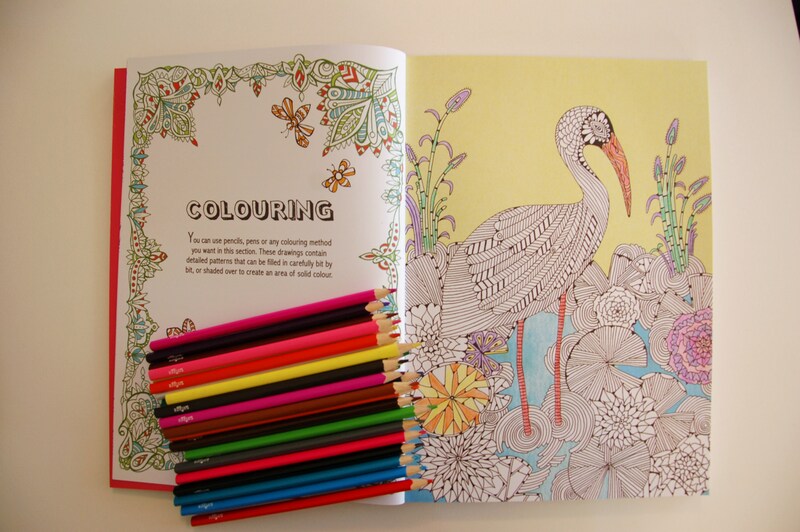 Get colouring. It’s not just for kids any more! Heaps of adults are now spending their down-time colouring in. My lovely friend Lisha gave me Creative Therapy – an anti-stress colouring book for my birthday and it’s great! The monotonous activity is surprisingly soothing. This is a great way to spend some time out! Allow yourself some time every day, even if it’s just 10 minutes, to do something you enjoy. This can be as easy as reading a book, looking at cat videos or painting your nails. Take regular breaks. I wrote another post about why it’s so important to take your lunch break. You deserve it! Get some help from the experts. If you’re in a rough spot and really struggling, talking to your GP or another mental health professional about what you’re going through, or getting some more information from places like beyondblue or Lifeline should be your next step. Hopefully with these tips you can help get rid of some of the tension in your life. What are your go-to ways to relieve stress? Let me know in the comments! Thank you for this, I had never heard of rescue remedy!